Modern awards: the ‘cheapest option’ or ‘manipulation’? Debate around the Australian awards system has been rife recently, with some calling for the arrangement to be replaced with a deregulated labour market like New Zealand’s. Head of the Australian Productivity Commission Peter Harris defended the award system last week, naming it “probably the cheapest way to employ people in this country”. Harris also suggested that Australia would not be moving towards a New Zealand-style deregulated labour market model. However, across the Tasman, New Zealand’s Productivity Commission chair Murray Sherwin said that the Kiwi market has been successful in employing people. “Life goes on and the markets work their way through. The New Zealand labour market has actually been pretty good at employing people,” he said at a Trans-Tasman Business Circle event. According to media reports, Harris said that those who were campaigning to change the national regime in Australia had to prove that small businesses wanted the change. “I'm not sure if you're offering them something that they have shown any inclination to pick up,” he said, adding that the awards were the least costly option for employers to hire new staff. In a 1000-page report, Australia’s Productivity Commission said that overhauling the awards system was not practical because of its costliness. It was also noted in the report that there had been few suggestions from those affected that the awards should be altered or abolished. According to the Australian Financial Review, Harris’ comments are reflective of what some observers have dubbed the “industrial relations club”: a reluctance to venture away from the current framework or consider alternatives, such as New Zealand’s deregulated labour market. Richard Clancy, director of workplace relations at the Australian Chambers of Commerce and Industry, disagreed with Harris that the complex award system was the best choice for Australia. “Its complexity creates apprehension, encourages avoidance strategies and acts as a barrier to employment as far as small businesses are concerned,” he said. In just one month this year, six businesses faced investigation by the Fair Work Ombudsman (FWO) for underpaying staff, in some cases because they were unaware of the correct minimum pay rates under the awards. 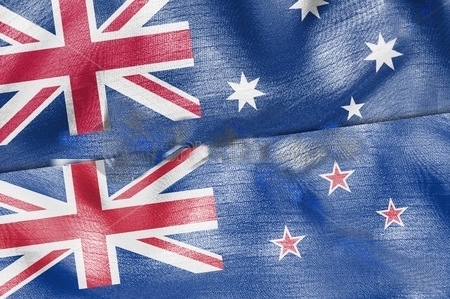 Another argument for the disestablishment of Australia’s award system came from Ken Phillips, executive director of the Independent Contractors Association, who praised the approach employed in New Zealand. “There are too many snouts in the trough, too many people getting advantaged out of all this,” he said. “They've done away with penalty rates in New Zealand and they still pay penalty rates because if they don't, people don't want to work weekends. Phillips also slammed the Australian system as a make-work scheme for “legislative bureaucracy”. “You've got to understand that this is a collusion between employers and unions to manipulate the markets,” he claimed.